Here we are in February, and within this 30th Kryon Anniversary year I'm amazed to suddenly start getting so many Kryon channeled validations! It's almost like they are now coming in waves. First the confirmation of "the coming cold," and now magnetics! When Kryon arrived in 1989, it took another four years for me to really begin channelling in public. 1993 saw the release of Kryon Book One, "The End Times," and Kryon Book Two, "Don't Think Like a Human" followed in 1994. In these books, Kryon started using the term "Kryon of magnetic service." It's actually quite a funny title, but that's what was given to me! It turns out that this name is quite spiritual, since we now fully understand that the magnetic grid of the Earth is physically "reactive" to mass consciousness (Heart math - Global Coherence Initiative - 2010). It was proven by satellite measurements, that when there is a major event on the planet which affects millions at once, the magnetic grid fluctuates! Then came 2012 and the shift (as predicted by the Maya). All through this, Kryon kept telling us: "I'm here to move the magnetic grid of the Earth to allow for the coming higher evolution of consciousness on the Planet." He told us when he first started channeling, "The magnetic grid of the Earth would move more in the next ten years than it has in the last one hundred!" Then we started seeing the effects of it. Whales beached themselves (they navigate with magnetics), and airport runway numbers were being repainted (they are compass headings). However, it has taken until 2019 for all of this to be measured, confirmed, and published by science. I just wanted you to see the validation of what Kryon told us so many years ago. 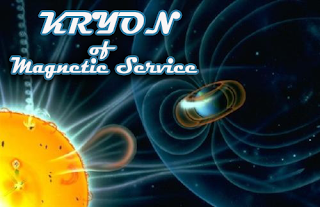 Here is the link, it's called "Magnetic North Just Changed," Interestingly, the article goes on to tell us that it's not new - it started its fast pace just when Kryon arrived! 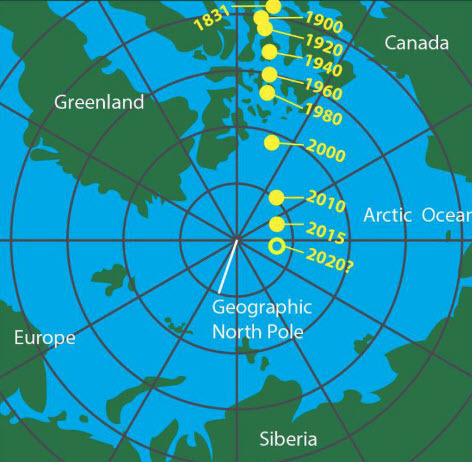 "In the mid 1900s, the north magnetic pole was lumbering along at less than a hundred feet each day, adding up to less than seven miles of difference each year. But in the '90s, this started to change. By the early aughts, magnetic north was chugging along at some 34 miles each." I just wanted to share in my appreciation of what Kryon has revealed and how science is now proving it to be truth. I continue to appreciate all your love and support in these changing times.